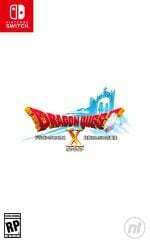 Dragon Quest executive producer Yū Miyake has expressed his desire to bring the currently Japan-only Dragon Quest X to the west, suggesting that an offline version of the game could be the way to do just that. The news comes from the Super Dragon Quest X TV Fall Festival 10-Hour Special 2018 broadcast, during which Miyake made a special appearance. According to Siliconera, this talk included the subject of Dragon Quest's current state in the west, and how he wishes to fill the gaps left by missing releases. “Dragon Quest X hasn’t released overseas. The 3DS games weren’t that popular overseas, and some folks jumped from Dragon Quest VIII all the way to Dragon Quest XI. Dragon Quest X has plenty of rich stories, and I want to make something to share it with others, including those overseas." Would you like to see Dragon Quest X make it to the west? Would you mind if it was an offline version of the game, rather than the standard version currently available in Japan? Let us know with a comment. 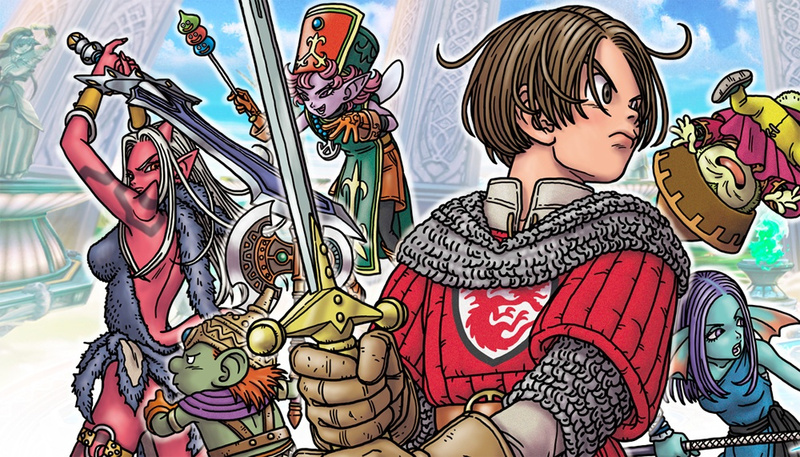 Considering that this is the only mainline Dragon Quest game that has yet to be localized for the West, I'd be thrilled to get it any way we can. Also, as a fan of single-player games, I'd actually prefer that they make it offline! I hate it when MMOs have to die when the servers go down. An offline version would be great to keep the game alive. Hello? That would be a dream come true! I don't need a subscription-based MMORPG, I need a good Dragon Quest story. And that would be an unnecessary complication overseas too. I mean, it's the main reason it hasn't come yet, right? What do they mean by "folks jumped from DQVIII to XI?" Of course. If they mean after DQVIII (PS2 version) they didn't sell well... it's a shame, but maybe that's because DQIX was DS-exclusive, DQVII and VIII for 3DS were a remaster and a port, and DQX... well, it didn't even arrive. But I don't think they're going to do it. Too much work to do if they're still talking about it, and after a few years it will be too late really. Their plate is already too full with trying to port DQXI to the Switch. That would be fantastic. I don't care about online anyway. I would love it if they brought all of the DQ games to the Switch like they are with Final Fantasy. I would really like if an offline version of Dragon Quest 10 came to the rest of the world, but also let you play online with friends for raids and such if possible if they still include large scale battles that are meant with humans coordinating together :+). But yeah, will be interesting to see and hope Dragon Quest 10 will come to the rest of the world ^^. I don't understand why there's so little faith in MMORPGs being successful on Nintendo consoles. PSO did fine considering you had to buy 3rd party adapters to go online with the GameCube so why? I think what it boils down to is no one wants to pay for a good server on American soil. Clearly our Tech costs are way higher than Japan Tech costs but that blows my mind because you would just increase the monthly rate to justify having it here. Or is the real issue that MMORPGs are starting to lose their demand here in the states? World of Warcraft is probably the only one that is nationally-renowned at this point. And even they had to go free to play for the first few levels. So I wonder if they just think there's no market for it. @BubbleMatrix82 I personally want a game like every other DQ, that I can play forever if I want (the opposite of the subscription or multiplayer based ones). And I hate that a great deal of content of DQIX is not available anymore, because I don't necessarily play games when they get released, but as soon as I can or I want. cool, they can do Final fantasy XI next. Sounds cool and all, but aren't most MMORPGs kinda unplayable solo? I mean I guess they could adjust it but still sounds a bit weird. I have been saying this since it became clear as day that the MMO structure of the game would not survive in the West given DQ’s weaker presence. Please make it happen. PLEASE. I’d like an offline version of this game. This was an online game..? Will honestly be heartbroken if they bring this over as an offline game. As an mmorpg fan I have been drooling over this game for years. Please just give us the regular game. I don't care about an offline version of a MMORPG but if others are happy good for them. Square Enix, please release the 3DS version of Dragon Quest XI in the west! Man I would love that. I don’t think they believe in DQ that much here in the west because they compare it too much to the success in Japan. But dammit don’t think we don’t love dragon quest over here too. Please port X to the west! I would love if this happened and would in fact prefer an offline version. I'm relatively new to the DQ franchise; I regret not jumping in sooner. I've played and finished V (DS) and now have IV (DS) and VIII (3DS) backlogged. Yeah I'll believe this when we get a release for XI. I would love if it came over - offline would even be better for my commute. I am all for offline versions of MMOs. That may be a controversial thing to say, but I am burnt-out on them after playing multiple MMOs since EverQuest in 2001. However, the stories are usually pretty good, which is the only reason I occasionally dip in to FFXIV every couple years. If players enjoy the community and companionship and working together as a team, MMOs are perfect. If players would rather avoid others and be able to play through most of the same content alone and at their own pace, an offline option would be perfect. It wouldn’t be impossible to add NPC party members to fill the roles of players in most dungeon content for a game like FFXIV or presumably DQX. Let me buy the offline version and expansions. The Patches would probably be DLC since you could not charge a subscription for an offline game. That would be totally acceptable. I'd prefer some concrete news on XI for the Switch, but I would gladly take an offline X. I'm currently working my way through all the side content in Xenoblade Chronicles X, which is very much a single-player MMO. And when I played WoW, it was principally as a single-player game. While it would be nice, I would love to see the online version come instead. Games are more fun with multiplayer. Well, most games. I not fan MMOs but having Dragon Quest X to have offline feature is a plus in my eye. The only DQ game I've played is 9, but I definitely want to play the others. Personally I don't care about the online in 10 so I'd love for it to come to the west. I'm seeing a lot of compromises as of late. DOOM at a lower framerate. Final Fantasy XV via its demake, the Pocket Edition. Assassin's Creed Odyssey streamed to Switch. And I'm fine with it! Not only it's "at least" better than what happened with the Wii U, it's a sign the momentum is still there, and compromises seem to be made more as a sign of devs wanting a piece of the hot-selling Switch hotcake, rather than Nintendo themselves pleading on their knees for third-party support - which at this point was kind of already happening in the Wii U's second year into its life cycle. There are even rumours about Square planning to bring some Kingdom Hearts goodness onto Switch next year, with some of these reports going as far as suggesting Kingdom Hearts III. Yes, three. Being on the same console as Breath Of The Wild, all of a sudden, has become the huge honor it was always supposed to be. So, sure, bring the offline version! It's gonna be a good JRPG either way. @AlexSora89 Dragon Quest X is actually fully online on Switch in Japan. The only reason it would have to be offline in the west is for purposes of localization. Maintaining a Dragon Quest-themed MMO in the West would probably be more trouble than it's worth for Square Enix. But I do agree though, as unfortunate as some of the sacrifices are, it's great to see third parties doing everything they can to get their games on Switch. I'd prefer an online version, but I'll take an offline version over no version. Over six years of Dragon Quest content most western gamers haven't played. Any self-respecting rpg fan wouldn't say "no". Give me a physical release (at any price point) and I would insta-buy. I'll take it day one. I've asked for it since years, online or offline, I don't care, I just want to play it. You could just release it a a coop focused game, playable in single player, but yeah, offline mode will do the job. On Switch the offline mode could work well with multiple Switch consoles. Please just release it so we can have the whole saga available. I really do want this. And even if it's an offline version, I'd almost prefer it that way. I was bummed back when it came out knowing I wouldn't get the chance to play, but it would be a day one purchase for me. So, SquareEnix can consider FF XI & FF XIV OFFLINE on Nintendo Switch. I have Never played those Final Fantasy so SquareEnix can add some NPCs to be my allies to fight together against the enemies. Dunno if it'd be any good with or without online, but as someone who flies solo whenever I play MMOs anyways...I'm glad they're at least considering the possibility of cutting out the middle man. The last time we had a solo offline MMO we got Xenoblade Chronicles. I'm fine with this. I'd like that very much. Yes, please! After DQ8 blew me away, DQ9 made it clear that missing out on an online DQ10 would be no big loss. Just write it off and look forward to DQ11 making things right again. Hurry up! Stop chatting about it and just DO IT! I'm sick of waiting for a title I expected to drop in the Wii U days! Bring it to the west or shut up, already! How much content does X actually have? MMORPG's are usually designed around having lots of people and not heavy on solo content. What takes the place of the other players? NPC's? I can't imagine any of the MMO's I've played over the years being even passable as a single player experience without a complete overhaul. They would be empty, boring and most of the content undoable. Why wouldn't they just release it as an MMO? As long as it had crossplay between all systems and PC, I'm sure it would have an active audience. I find people using the term "Offline MMO" to define games like Xenoblade as odd. There was no content in those games that compares to whats in an MMO. Are people just applying the term MMO to any game with an "open world, fetch quest" concept? MMO literally means the words "massively multiplayer online". Take any of those away and it's not that anymore. Yes please!!! I'm a big Dragon Quest fan but don't enjoy playing online, even for DQ, so an offline version would make all the difference for me. In which case... this is Hey You, Pikachu all over again. @subpopz Actually, I played most of Final Fantasy XIV solo purely for the story and questing content. The only time I chose to play with other people was when dungeon quests forced me to in order to progress. It’s completely viable as an offline game with the necessary adjustments to replacing party members with NPCs. It would take a bit of programming to get roles to behave according to existing boss patterns, but not impossible. You are not wrong that such a game would feel a lot more empty. There would be no people standing around cities doing their things, or talking in general chat. I was always one to ignore that anyway and go about my activities. I’m willing to give up that portion if I could just enjoy the main quest and other solo content, along with whatever NPC-filled groups could accomplish in dungeons. Older MMOs might not work as well in such conversions. That being said, it makes me happy that the developers are thinking about it. Bring X, the Joker series, basically bring every Dragon Quest game and I'll buy it. I was gonna get the 3DS versions, but I don't want to buy games from my old console if there's a slight chance we might get it on the Switch. @Agramonte Did Zodiac age have a strong MMO vibe to it? I only played the first segments of it once upon a time, but I thought it was a traditional FF. @NEStalgia I played lots of Final Fantasy XI. And liked XII because I felt it takes multiple cues from it just off-line - so to me it did. I think the remastered has some travel/combat changes - so not sure how much "vibe" it has now. I for sure would play both the online or the offline version the story and set up for X were pretty great the intro scenes come to mind. @8bit4Life It really depends on whats in DQX. Take a popular MMO like GW2 and strip the massively multiplayer out of it and it's barely a game without a massive rework of mechanics, dumbing down other mechanics, substituting players with NPCs, completely removing large aspects of the game (raids, large scale events, etc..). I'd rather the full MMO and not a stripped down version of it. And if they're going to put that much work into something, instead of reworking and rebuilding an MMO into what would be a new game.....just make a new game from scratch that has a proper single player experience. @Moroboshi876 I picked up DQIX at launch and it was amazing. I picked it up again to play again a couple years ago to find out the servers had been taken offline and DLC heroes we're no longer available. Needless to say I was crushed. @Wanjia I never played it and will have to do it without the DLC, but it's an example of the reason I don't like games depending on the Internet. They have an expiration date. I'm disappointed to hear the 3DS versions didn't sell well in the west. They are really good games and it's a marvel they got condensed into handheld mode in the first place. Hopefully DQ games sell well on Switch so we still get more in the future. yes please and could you allow offline multiplayer as well? Yes I would buy it jn a heart beat! On the 3DS topic, why should jumping from DQ8 to DQ11 be an issue? Just like Final Fantasy, each game is set in a different universe and there is no overarching plot. And since 10 was never localized, all that is skipped is 9... wait, that was a DS game that can be played on the 3DS anyways. I can see why poor DQ 3DS sales being a reason to not localize the game, but this reason feels tacked on. Sounds good to me. As long as the game gets released in the West. But do you still allow local drop in drop out multiplayer since the mmo’s stuff is already there? Hmm, The S part of Dragon Quest XI S stands for 'Solo version of Dragon Quest X'? Sign me up! I would literally take whatever version they have to offer me. I will take a freaking text based version. Please just localize it.